It has long been standard in scholarly circles to claim that whereas Lutheran Protestantism tends to be passive and pietistic due to its emphasis on justification by faith alone and on the difference between the two kingdoms, Calvinism is active and vigorous in every area of life due to its emphasis on sanctification and the lordship of Christ. No matter how hard historical theologians work to show that this contrast is seriously exaggerated, the invention of modern theological controversies (not to mention Calvinists’ proclivities toward a certain Whiggish interpretation of history), it remains influential, enduring in the widely quoted statements of prominent scholars like Ernst Troeltsch, H. Richard Niebuhr, and Jurgen Moltmann. Take, for instance, Troeltsch’s famous study, The Social Teaching of the Christian Churches, now more than one hundred years old. Troeltsch agrees that Calvin used the language of Luther’s two kingdoms, but he claims that, spurred by the doctrines of predestination and the absolute sovereignty and glory of God, Calvin’s social theory turned in a radically different direction. Troeltsch, like so many early twentieth century scholars, erroneously believed that Calvinism is a system of thought “logically constructed” on “the idea of predestination, the famous central doctrine of Calvinism.” (2:579, 581) In this system, according to Troeltsch, the gospel was no longer a means to the salvation of sinners rooted in the God who is love, but a means to the greater end of the glory of God who is majesty. The purpose of the doctrine of justification was not the joy of the forgiveness of sins that results in loving service to one’s neighbors, but the sovereign calling of an individual to serve as an instrument of the divine will. The gospel thus became “a spur to action” and the “spirit of active energy” in the heroic elect, who in turn became “Christ’s warriors and champions.” (2:584) Certain of their salvation, Christians were free to look outward and to devote themselves to the transformation of society into the holy community of Christ. Calvin’s tool for this transformation, Troeltsch argued, was the Bible, which Calvin turned into the blueprint of the holy community, “a law, whose aim and nature were of equal value in every part.” (2:586) To be sure, Calvin recognized that parts of the law were no longer binding on Christians, and in that sense he did not seek to revive “Jewish legalism.” (2:601) But in contrast to the Lutherans, Calvinism “extended the authority of the Bible over a wider field, and in the process it transformed the whole conception of the Bible into an infallible authority for all the problems and needs of the Church.” (2:587) Based on the premise that the Bible could speak to all of life, Calvinists seeking the political and legal transformation of society inevitably found lessons in the example of Israel, its kings and its prophets. Calvin dismissed the immediate significance of Jesus’ Sermon on the Mount, Troeltsch claims, in favor of the more relevant Old Testament. In short, what we have here are highly activist, enormously confident individuals, whose devotion is to exerting power over other human beings in order to assert the sovereignty of God. This is in sharp contrast to the proper emphasis of the Christian ethic, which is on conforming to the image of Christ in self-sacrificial service toward others. On Wednesday I challenged Swiss Reformed theologian Karl Barth’s criticism of Calvin’s two kingdoms doctrine as a failure to understand the 16th Century reformer’s political theology. But I do not want to obscure the value of Barth’s constructive point. It is necessary for Christians to understand not just how the two kingdoms are different and separate from one another, but how they are connected under the lordship of Christ. Here Barth does offer some helpful reflection. Second, Pilate could have released Jesus and offered legal protection to the proclamation of Jesus’ kingship, “the legal granting of the right to preach justification.” (110) This is what Christians who embrace political liberalism would desire. It is appropriate for the state to protect the ministry of Christ’s kingdom without it therefore being appropriate for the state to punish heretics or the adherents of other religions. This leads Barth to an important conclusion, one that contemporary Christians would do well to consider in the midst of all their angst about the supposed dangers to religious liberty in America. This, of course, is not all that needs to be said on the subject, and this is not all that Barth says. But it is striking that this is where he starts. I do not know how many times I have heard evangelical Christians – admittedly they are typically older Christians – respond to stories about American politics in the following way: “Things are really going badly. We are clearly in the end times.” What is implied in such claims, of course, is that the conservative political agenda in America is a bellwether of the progress of Christ’s kingdom. It is a sentiment that Barth, like Calvin, would have vigorously rejected. I would suggest that the implications of this point extend not only to the individuals who exercise government at the federal, state, and local levels, but also to the institutions through which they govern. The apostles wrote in a time when political power was intrinsically personal; we live in an era in which political power is subject to the rule of written law, bound to concrete rules that channel the use of power through institutions and offices that reflect fundamental principles of justice. This system, which we might refer to in short hand as political liberalism, is for us that which has been established by God, the authority that “exists.” It is worth defending on so many levels, but even for its critics this is an important fact that must be taken into account. In other words, the legal administration does have something to do with the order of redemption. 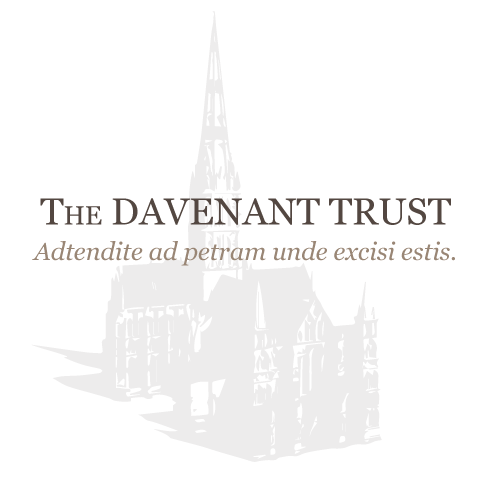 Calvin went so far as to claim that the Christian state’s responsibility to defend the ministry of Christ’s kingdom includes the duty to suppress and punish those who polluted its certain truth through their false teaching, at least in a society where that truth was widely embraced as certain. He was surely wrong about this. Yet Barth is correct to characterize the responsibility more narrowly, in a manner reflective of the values of political liberalism. 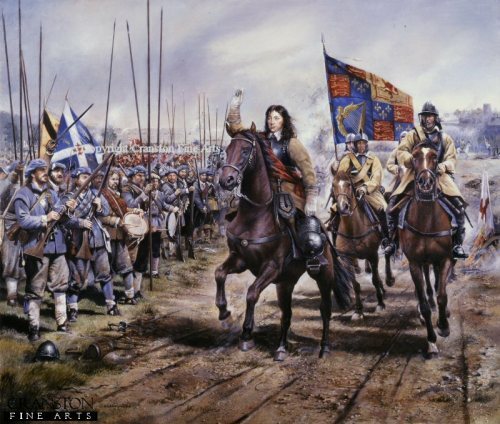 At the heart of the state’s responsibility under the lordship of Christ is the responsibility to protect the freedom to speak the truth. But Barth criticized the reformers for not going beyond that. “Clearly we need to know not only that the two are not in conflict, but, first and foremost, to what extent they are connected.” Barth claimed that Calvin offered insufficient explanation of the degree to which civil government belongs to the external means by which God invites human beings and retains them within the society of Christ. He alleged that Calvin failed to develop the implications of his claim that all earthly rulers are subject to Christ, and consequently of his embrace of a Christian political order. In short, he accused the reformers of failing to develop a gospel foundation, a “Christological foundation,” for the state. The two kingdoms distinction was legitimate as far as it goes, therefore, but it had failed to answer the vital question: “is there an actual, and therefore inward and vital, connection between the two realms?” Or as Barth puts it in the first paragraph of the work, “is there a connection between justification of the sinner through faith alone … and the problem of justice, the problem of human law?” How does the order, peace, and freedom of the kingdom of God relate to the political order. Barth’s answer, of course, is that there is a fuller connection, and that it is clearly taught in scripture. But his own political theology turns out to be highly dialectical (and paradoxical). The doctrine of the state is to be understood in the context of Christology, he argues, with the state being called to respond obediently to the preaching of the gospel and the law on the part of the church (though without appeal being made to the word or the Spirit in the running of its affairs, given that the state encompasses nonbelievers and is therefore broader than the community of faith!). The state is an allegory of the kingdom of God (though it never becomes the kingdom of God!). It is the outward circle of the reign of Christ (though not to be confused with its inward circle, the church!). 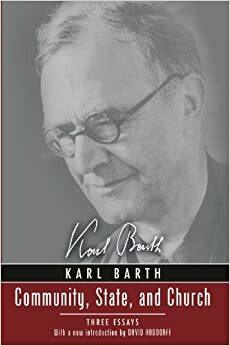 But what is most striking about Barth’s argument is his complete failure, as Reformed critics like Emil Brunner pointed out, to grasp what was the real political theological teaching of the Reformation. For at the heart of Barth’s criticism of the reformers was his absolute rejection of natural revelation or natural law (although even here he granted the useful functioning of a “so-called natural law”). This rejection led him to confuse the reformers’ embrace of the temporal and secular nature of civil government under the natural law with a practical denial of the sovereignty of Christ. In fact, contrary to Barth’s claims, Calvin’s two kingdoms doctrine was thoroughly Christological from start to finish. Calvin recognized that, having ascended to God’s right hand, Jesus holds sovereignty over all authorities, both in this age and in the age to come. In fact, Calvin claimed that Christ is the heir of all things and that human beings only enjoy the legitimate use of material things insofar as they are in Christ. Thus all civil government properly belongs to Christ, is obligated to honor Christ, and must enforce his law insofar as that is possible. Indeed, Calvin even argued that civil government is obligated to establish, defend, and maintain the ministry of Christ’s kingdom (a position whose first and third tenants – establish and maintain – Barth was right to reject)! At the same time, Calvin recognized that although all legitimate justice, law, and government is subservient to Christ and his purposes, and therefore is an outward reflection of true justice, law, and government, these categories cannot be collapsed into one because through the power of the gospel Christ accomplishes something different from anything that the state can accomplish. By his word and Spirit Christ creates true justice rather than mere civil justice, he fosters the spiritual use of the law rather than the mere civil use of the law, and he establishes his spiritual government rather than mere civil government. Barth was right to call for a clear understanding of the relationship and connection between the two kingdoms in the context of Christology, one that would help Christians to see that the righteousness created by the gospel is the righteousness that takes concrete form in this world. But he was wrong in claiming that Calvin failed to offer this in his two kingdoms theology.